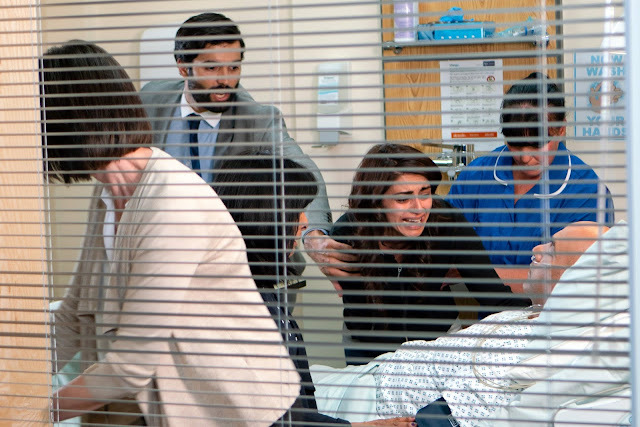 Things are most definitely not getting any easier for Rana on next week's Coronation Street. Monday night's episode saw her father come back to the street in order to query why Imran hadn't replied back to his birthday party invitation, and Rana insisted that Imran go knowing their parents would only blame her if he didn't. The rest of this week's episodes will see Hassan's health very much take a turn for the worse, and Rana clash heads with her mother, knowing that she could've helped if she'd been allowed to attend. Next week with Hassan's health showing no signs of improving and worried that he might die, Rana is desperate to see her father. Trying to help her girlfriend, Kate suggests that they pretend to have splt up in order to change her mum's mind. In a surprising turn of events, Billy is on hand to help distract Saira giving Rana the chance to see her father. Not surprisingly, Saira is furious when she finds out. Their lie does the trick as Saira does indeed agree to let Rana visit her father, but as Saira tells Hussan that Rana has seen the error of her ways he squeezes his daughter’s hand and passes away. Rana is then left wracked with guilt over knowing she's lied to her father on his deathbed. The question remains as to how long exactly this fake break-up will go on before it is discovered, and whether Rana and her mother can ever truly rebuild their relationship. You can watch this latest turn of events next week on ITV Monday, Wednesday & Friday at 7:30pm and 8:30pm.